Most of the time, my role amongst my friends about 35-30 years back was to be the canary in the coal mine or Johnny Appleseed of new music to the larger tribe. It’s nothing that I aspired to; it just happened that way. I was always paying close attention to the various musical tributaries and thusly was usually first to trumpet this or that band to the circle of friends at large. But I can vividly remember one instance where a friend passed knowledge of a band onto me for a change. My old friend Dan was working at a mall that had a video jukebox, so it was there, during work that he first told me about the Philadelphia-based synthpop band Book Of Love. He had seen the clip for their second single “I Touch Roses” on play while at work, so he thought I’d be interested. 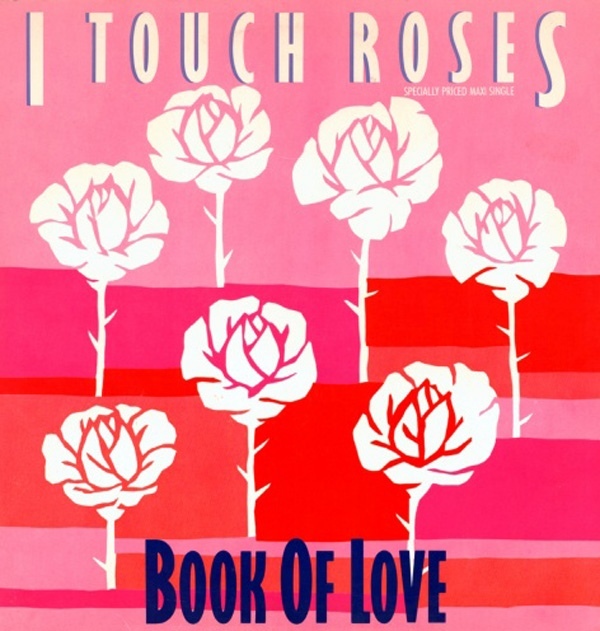 I checked the name, and the first time I saw the 12″ single of “I Touch Roses” at Murmur Records, I bought the copy. It was a pretty good song, considering what was happening musically at mid-decade! I liked the slightly flat, dusky vocals of Susan Ottaviano. She provided a likable ingenue within the context of sapphic leanings of the tune. The rhythm programming was pretty interesting and I liked the sampled guitar hook quite a bit. I kept my nose to the ground and the next year when their album was released, I was on top of it. 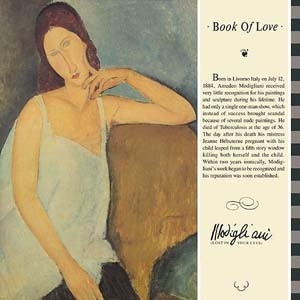 The first Book Of Love CD was filled with a dozen songs which made it plainly clear that this was a bad with its own vibe. The songs all featured strong, simple melodies, which gave their winsome tunes a childlike air of nursery rhymes. It could have been a recipe for a disaster of the most cloying kind were is not for the fact that the band were obviously not putting on airs. The honesty of their approach to the songs was what put them across effectively, not affectedly. The winsome melodica, played by Ted Ottaviano [no relation] undercuts even the merest hint of lasciviousness. The net effect purely playful and surprisingly innocent. Even the attempt at dourness on “Still Angry” is undercut by the group’s inability to give into negativity or even minor chords. Only a grump could find fault with this band. Sure, they’re twee, but honestly so. The one tune here that managed to break free from the tubular bells and glockenspiel that colored this music, its reliance on synths not withstanding, was the reasonably intense “Lost Souls.” Here was the one song on this album where minor keys could be heard amid the sunshine and lollypops. Maybe it was Mark Kamins mixing this single track that made the difference, but the track managed to build quite a head of steam; showing this band actually did have the ability to reach a level of intensity that much of this music failed to demonstrate. If “Lost Souls” was the dark cloud on the album, the silver lining was definitely the sumptuous song “Modigliani [Lost In Your Eyes].” Here was a song that only inveterate art-school students could have written! Who else would form a synthpop band – in Philadelphia, no less? The recitations in Italian only pushed this one way over the top into the shining acme of American synthpop. America usually played second fiddle on the synthpop scene, but at a time when The Human League had their album written and produced by Jam + Lewis, a track like this gave one hope that all was not lost. In an early bid for value for money, the CD was rounded outby five 12″ versions; all four of their 12″ A-sides were accounted for here along with a 2nd remix [“Modigliani [Requiem Mass]”] for extra good measure. I rode the Book of Love bus to the bitter end [meaning their ill-fated 4th album “Lovebubble”]. I saw the band on their Lullabye and Candy Carol tours and understood their getting out of the game when the fangs of the 90s bit deep into the neck of innocence and synthesizers. In a world where hip hop and grunge ruled the charts, there was no longer any place for dreamers like Book Of Love. This entry was posted in Record Review and tagged 1986, American Synthpop, Book Of Love. Bookmark the permalink. Wow! Talk about coming to different points of view on a band. 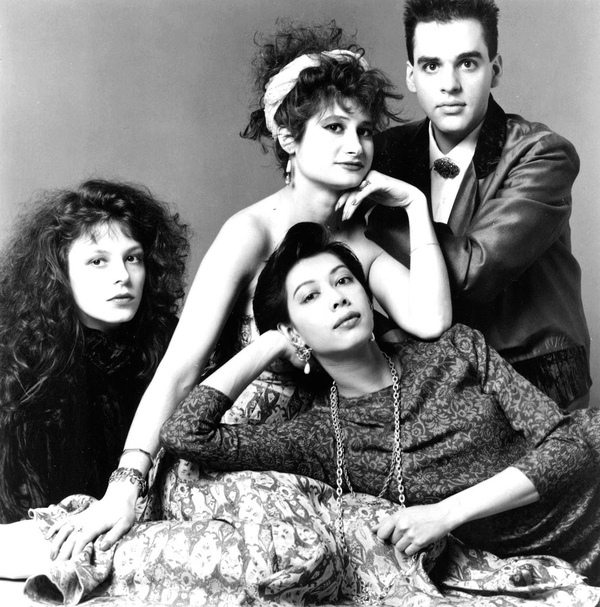 Book Of Love has to be the stand out band of the 80’s I hope I NEVER hear again. I was never really a fan, I actually did find their sound a bit cloying and nothing really special. But what got to me the most, and it’s something a number of my friends I would enjoy music with back in those days would agree with, Book Of Love opened for almost every great and popular band we went to see from about 86 – 88. I get the appeal you find in their sort of pop innocence and the distinct difference to what was happening to so may of our legacy bands like Human League (great example really), but maybe I had moved on from the simple joys of pop at that time and wanted more complex, more pretentious and more difficult from pop music. I’m not saying I found a whole lot of good material in the growing pop drought of the late 80’s, but Book Of Love just didn’t cut it for me. Echorich – Thanks for finally exiting your “echo chamber!” Nothing wrong with that. Yeah, it is a simple music but when the mood strikes, I’m fine with it. I did sell off all of my remixes last year. At one time it did seem like the thing to do, and I hypothesized a BSOG of rarities, but the worm turned and now I’m content to just have the albums. Maybe not even “Lovebubble.” We’ll see. The first one is the best, definitely. I’ve called it “children’s music for adults” and I totally understand it might not be everyone’s cup of tea. If I felt an iota of pose in their point of view, I could easily join you on your side of this great divide. I always liked this band, though their hits songs certainly did get overplayed on the sort of radio stations I was listening to. I met the band and did a nice feature on them before a show at Visage, and they just couldn’t have been nicer — that sweetness the Monk refers to was abundant in their personalities. I’m pleased to hear they reunited a couple of years ago, and hope we see some new material from them. chasinvictoria – Amazing fact: I once saw a food styling credit in an issues of “Echoes” magazine [Mid-Century Modern Antiques] back in the late 90s for Susan Ottaviano. Apparently she has quite a rep at this idiosyncratic niche during her time away from the mix. Word has it new stuff is in the making from them. I bet it’ll go over well if it reaches the market. I liked this band…their sweet simple synth pop was enjoyable without being cloying. They did indeed warm-up for everyone back in the day, but I particularly recall a fab club gig they headlined back when Lullaby first came out. I still get a kick out of hearing their songs played in retro clubs, and last week I played and 80s night and got the most delightful request for Pretty Boys and Pretty Girls (I played the 7 minute version…the 14 minute one being a little much for the night!). Taffy – The 14 minute mix was a little much for any time, really! I really liked “Candy Carol” a whole lot. I think it was down to two things: “Turn The World” was an ace song [love those harmonies] and it had the brass to include a sample of Tommy James’ “Draggin The Line;” a bassline which had obsessed me from 1971! I’ll echo Echorich, they just rang false for me. There were a couple of songs that worked ok for me but overall they just seemed to be a bit too calculated, a bit too manufactured and a day late to the new wave party. They seemed to me to be some A&R guys idea of a version of The Cure that you could take home to your parents. A lot of the components were there but overall the alchemy just didn’t happen for me. I agree with your assessment of Modigliani. Tim – I think you have a point with your assessment of her band being “a day late to the New Wave party.” They started in 1983, which is why they sound the way that they do. If I didn’t find the emotional content of their music compelling, the sonics would largely fail my ears. Three songs pop out of their oeuvre to distinguish themselves on a compositional and arranging basis: “Modigliani,” “Lost Souls,” and “Turn The World.” Those tracks make a bigger impact on me. But overall, I find I respond to their melodic sweetness, which seems to be a genuine extension of the individuals in the band. I’m afraid I should, erm, echo the Echorich’s words – Book of Love never did anything for me, listening to them was heavy-going. Maybe because of the vocals, maybe the production, which is a bit too mid-to-late synth-pop for my liking, maybe the melodies which are, well, not too memorable to me. Still I have to agree with you, Monk – they did a terrific song with “Lost Souls”. Even the remixes were as good. How did they accomplish that in the first place is a mystery to me, given the context of their overall catalogue. But they did – and that justifies their existence and a rather prolonged career in my eyes. So it’s good that you brought them up, a nice reminder! No profile in the UK at all, can’t recall a single mention at the time. Picked up their Best of, for a very good price, at the SF Amoeba when over on holiday and really enjoyed it.